I’m one of those unfortunate souls who lives with no Chick-fil-A restaurant within driving distance. This means eating chicken nuggets with Polynesian sauce and a side of waffle fries is always a treat. And an occasional McDonald’s quarter pounder or Taco Bell burrito can be just what I need when I’m hungry and in a hurry. Though fast food is sometimes exactly what my palate craves, usually it does little more than live up to the promise in its name: it’s fast. When fast food becomes a staple in one’s diet, it isn’t such a good thing. As good as it seems at the moment, it doesn’t provide much nutrition or real satisfaction. Similarly, when it comes to cultural nourishment, there’s nothing wrong with a little mindless entertainment now and then—books and music and movies that distract from the pressures of our busy lives. But perhaps some of us take too many trips to the drive-thru window of culture, settling for the equivalent of greasy burgers when we could be feasting on steak and lobster with a side of crisp steamed vegetables. We can all benefit from a little more serious fare in our cultural diet. In the world of art gourmet “meals” that await us, recipes for expanding our hearts and minds and for gaining a bigger perspective on ourselves, our Maker, and the world. Master chefs of the imagination are cooking up new delights in the visual arts, literature, music, and film. We need them to strengthen our faith, ignite our compassion, and deepen our understanding. So often Christians embrace art of a rather shallow nature—sermons delivered in the form of novels and movies and music. They’re safe, largely unchallenging reminders of what we already know and believe, providing the comfort of feeling we’ve got things figured out. Much of what we call “art” is entertainment, or decoration, or propaganda for our cause. It can dull our senses rather than make them come alive. Art and preaching are not interchangeable. They serve unique purposes. Good biblical preaching is one of the essential needs of the church, but preaching isn’t the purpose of art. The best preaching is proclamation, unambiguous in its message, calling for a specific response—a decisive change of thinking or action. Art may achieve similar responses in us, but its approach is generally more ambiguous and works on a more subconscious level. It may take hold of us rather slowly, or like a time bomb suddenly explode, yielding an epiphany only after we’ve sat with it for a time. Sometimes art will demand patience and careful attention—virtues in short supply in our hectic age. Through art we don’t just understand; we feel. We experience. Art moves us in ways that can bypass the walls we build to keep out the truth. I’ve discovered new things about myself, the world, and God through the magnificent paintings of Rembrandt, Van Gogh, and Fujimura; through the penetrating music of Bach, Handel, Gorecki, and Dylan; through the beautifully crafted words of Donne, Hopkins, Dostoevsky, and Austen. I can’t imagine how impoverished my life would feel if I didn’t have the companionship of these fellow travelers of faith. Hopkins has helped me appreciate what Psalm 19 means when it speaks of the “voice” of nature, and his poetry has added new vocabulary to my lexicon of praise. By capturing these ideas in images and dialogue, Malick expanded my understanding beyond intellectual comprehension. He helped me feel truth in the depth of my bones. And that is something great writers, artists, musicians, and filmmakers have done for me time and again. In An Experiment in Criticism, C. S. Lewis observes that art asks us to become vulnerable in order to receive it. This vulnerability helps us encounter God in new and unexpected ways. We can be challenged and changed, and given new eyes to see. Great art offers us fresh perspective. It provokes us to think, and it challenges us with hard questions and uncomfortable realities. It teaches us how to pay attention to the beauty and wonder around us, arousing us from the stupor of everyday life to appreciate the signs of glory all around. Great art can make the past tangible to us through realistic portrayal, or give us vision to gaze into possible futures. Sometimes it breaks our heart; other times it heals it. It can lift us out of weariness, isolation, or sadness. Great art can transform us. 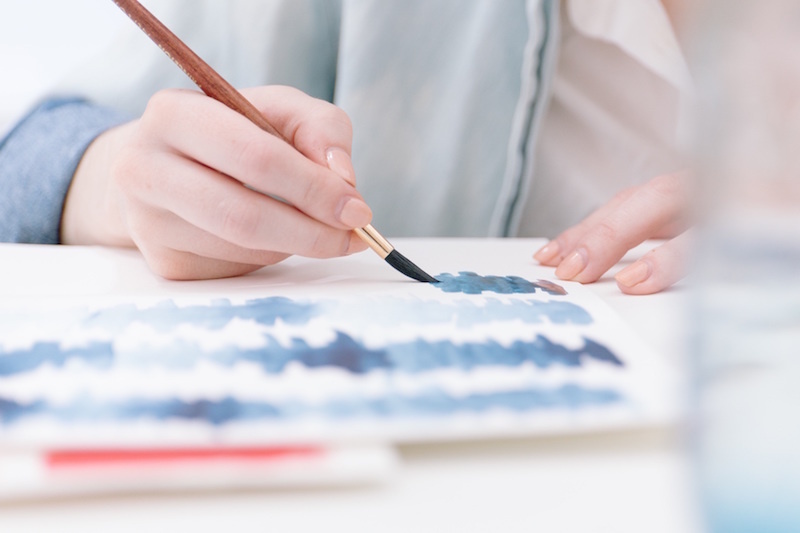 So consider this an invitation to treat yourself to the kind of art that may take a bit of effort to digest because it is rich, complex, and sumptuous; art that reaches out to your senses and gives evidence of the mastery that created it. Feast on it, taste and see that it is good, a reflection of the creativity of the Creator. 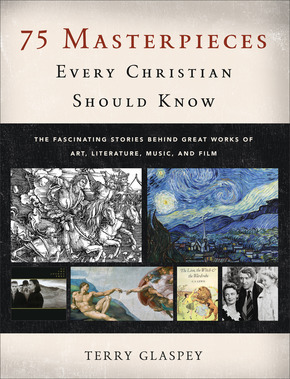 Terry Glaspey is an author, most recently of 75 Masterpieces Every Christian Should Know (Baker, 2016). He speaks regularly at conferences and churches on issues relating to art, creativity, and spiritual growth. Terry has an MA in history from the University of Oregon and lives in Eugene, Oregon.